Welcome to Heating Spares Website. If you continue to browse and use this website you are agreeing to comply with and be bound by the following terms and conditions of use, which together with our Privacy & Returns Policy govern Heating Spares relationship with you in relation to this Website. The term "Heating Spares Ltd" or "HSL" or "us" or "we" refers to the owner of the Website. The term "you" refers to the user or viewer of our Website. Shortages/damages in your order MUST be notified to us in writing within 24 hours of receipt. Failure to notify us within 24 hours of receipt will be deemed as having received your complete order. Our prices are EXLUDING VAT. We DO NOT store your credit card details on our servers. All details held and processed by Paypal or Payment Sense. 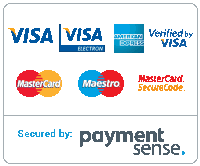 Should you choose to pay for the Service using a Credit Card, your credit card details are not stored by us and cannot be used by our staff. We try very hard to ensure that all information on this site is accurate. However, just occasionally, an error can occur. If we discover an error (e.g. the price or description of a product you have ordered) we may cancel your order at any time up to the point we send you the product(s) (even if you have received your order confirmation email). If we do cancel your order, you will receive a full refund of any charges already paid. 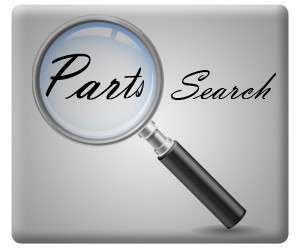 Whilst we endeavour to ensure that the information on this Website is correct, neither we nor any third parties provide any warranty or guarantee as to the accuracy, timeliness, performance, completeness or suitability of the information and materials found or offered on this Website for any particular purpose. You acknowledge that such information and materials may contain inaccuracies or errors and we expressly exclude liability for any such inaccuracies or errors to the fullest extent permitted by law. We may make changes to the material on this Website, or to the products and prices described in it, at any time without notice. The material on this Website may be out of date, and we make no commitment to update such material. Your use of any information or materials on this Website is entirely at your own risk, for which we shall not be liable. It shall be your own responsibility to ensure that any products, services or information available through this Website meet your specific requirements. We suggest you seek the advice of a qualified and competent professional for all work carried out. You must not use our website to copy, store, host, transmit, send, use, publish or distribute any material which consists of (or is linked to) any spy ware, computer virus, Trojan horse, worm, keystroke logger, root kit or other malicious computer software. All images are supplied for reference purposes only. All dimensions and capacities stated are approximate. Consistent with Heating Spares policy of continual improvement, the right is reserved to amend product specifications without notice. We will not be liable to you in respect of any special, indirect or consequential loss or damage, for example: We will not be liable engineer’s costs in the unlikely event a part arrives late or is faulty and need to be returned.